What can the New Orleans Handymen at Mr. Fix It do for you? Home » Handyman » What can the New Orleans Handymen at Mr. Fix It do for you? We can tackle multiple jobs in one go! Let us handle all of those little jobs around the house in one fell swoop, and swipe those pesky little honey do’s off the list once and for all! We can fix, repair, or replace just about anything! If you need a local handyman you can trust, look no further than Mr. Fix it! We’ll provide you with an honest and trustworthy handyman who is licensed and insured to do general repair at a specialized level! New Orleans & Metairie can trust us for any General Home Repair and Maintenance need. 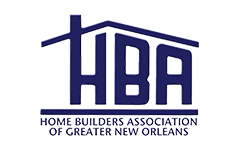 If you live in New Orleans and need a skilled Plumber, Electrician, Carpenter, Painter, or General Handyman, we have you covered. We can even hang light fixtures, ceiling fans, drywall, and sheetrock. Want to completely remodel a room? We offer remodeling services such as floor installation, tv installation, bathtub and shower installation, and general remodeling! If live in New Orleans or you want anything from fast and friendly TV hanging, to wall painting or even new window replacement, we have you covered. We are the one stop shop for any of your home repair or improvement needs, and have a great team ready to fix, repair, or replace any door, window, shutter, gutter, molding, flooring, light or fan in your home. So in short, what do we do? We do it all! Call Mr. Fix it today at (504) 302-1436 and let us tackle not only your home maintenance problems, but also renovate and improve your space! Whether it’s a minor leak or major problem, we can tackle jobs of any size. We are a Same Day General Handyman Service with Professional Contractors specialized in General Home Repair. Contact Us Today!